Insightful speakers, diverse opportunities for networking and education headline fall conference. 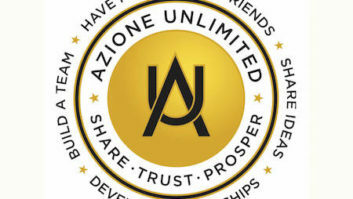 Azione Unlimited has announced its fall member conference, The Donnée in Denver, to be held October 10 – 12, 2018, in Denver, CO. The buying group is introducing its first-ever ‘Inspiring Insights’ speaker series, along with small group sessions, one-on-one meetings, and many opportunities for networking in the Mile-High city. The fully booked conference brings together 250+ Azione members, comprised of custom installers, home technology professionals, and manufacturers. Donnée is a French word meaning “a set of notions, factors, or conditions that govern and shape an act or a way of life,” and “a set of literary or artistic principles or assumptions on which a creative work is based.” Presenting members with new ideas within and beyond the industry, The Donnée in Denver encourages attendees to examine and put these concepts into action. Inspiring Insights: A new feature of the Azione conference, these Technology Talks akin to the wildly popular global speaking series, give nine different speakers from a broad range of backgrounds 15 minutes to talk about a variety of topics. One-on-one meetings: A mainstay of Azione events, dealers and vendors connect in an intimate setting to learn about new technologies and strengthen relationships. Small group sessions: Highly successful small group sessions bring dealers and vendors with diverse backgrounds together to explore specific topics and brainstorm ideas for enhanced success. Team-building: Denver-inspired team-building exercises bring members closer in unusual ways and include a charitable component.